Iceland Foods in Gorleston-on-Sea near Great Yarmouth, is part of a national chain of stores selling a great range of frozen foods and other grocery items at reasonable prices. From Great Yarmouth follow signs for Gorleston-on-Sea. 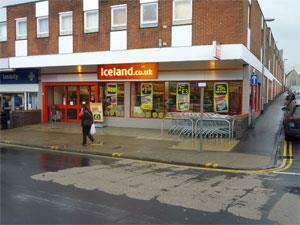 Iceland Foods is located towards the end of the main High Street, just prior to the traffic lights/crossroads.